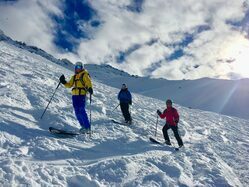 This season in Chamonix we have put together some SKI PERFORMANCE and SKI TOURING courses specifically designed for Women. These Ski Touring courses are 3 days in duration and are delivered by Dee O'Neill. Unleash the inner adventurer, whether you are looking to conquer the steeps, break trail and escape into solitude of the mountain, rip up the off piste, tour the alps or just cruise the powder fields this is the place to be. It doesn't matter what size of adventure you have in mind AWC's will build your confidence and help you develop a range of skills and guide you on a path to achieve your adventure no matter how big or small. We have 2 levels of this course available. Level 1 requires you to be a competent piste skier and have some skills in off piste skiing. As well as ski technique skills and Touring skills you will also receive off piste safety education during the course. Level 2 requires you to already be competent at skiing off piste and ski touring. 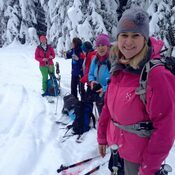 The course will further develop you existing skills and provide a safe and responsive environment for you to ski tour with other like minded and skilful women. Cost: £340 per head for 3 day session. 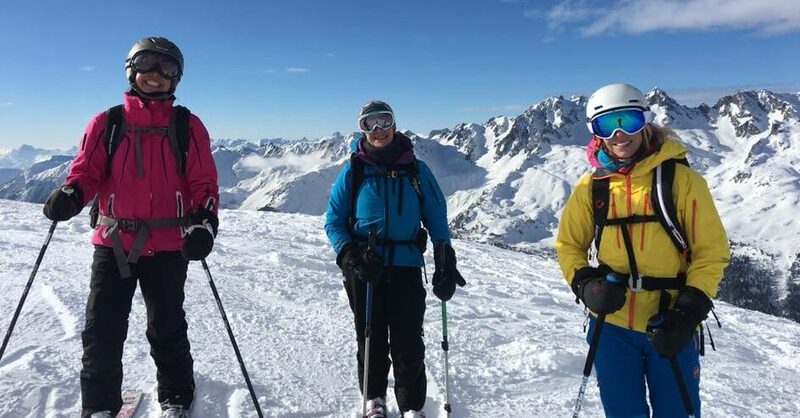 Our "Ladies do Lunch" sessions are 3 hours in duration and are designed to help local and visiting women in the Chamonix Valley to build confidence and try out new terrain and skills in a comfortable and supportive environment. Ladies do Lunch - Intermediate skiers who would describe themselves as cautious but being comfortable on most pistes when in good condition but would like to learn some new skills to help with control and making skiing more enjoyable. Skiing off piste would be a desire so developing towards that. Women's Off Piste Clinics - Advanced skiers who would describe themselves as competent on all pistes and ski in off piste terrain but would like to improve their current performance by learning new skills and improving existing ones. This sessions require off piste safety kit (transceiver/shovel/probe). 2018/19 :- 11-14th February, 9-12th March, 1-4th April. 2018/19 :- 11-14th February, 25-28th March, 1-4th April, 9-12th April. (Guide Days - 2018/19 :- 28th December, 18th January, 15th & 22nd February, 29th March, 5th, 10th & 13th April).